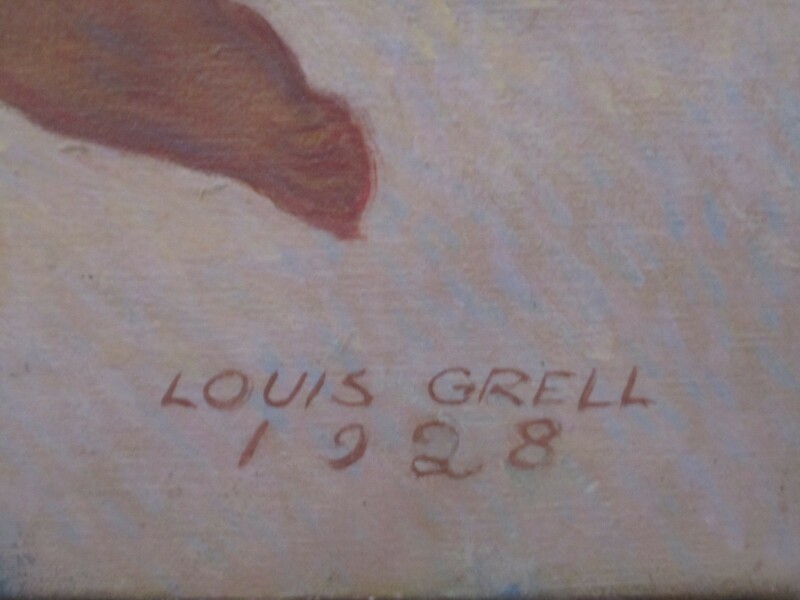 Birth of Electricity is a new discovery for the Louis Grell Foundation as of March 2014. 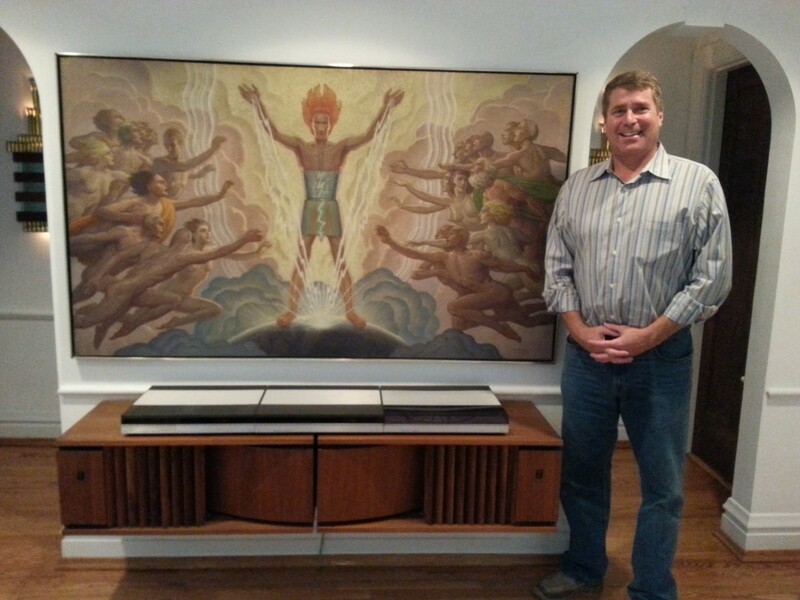 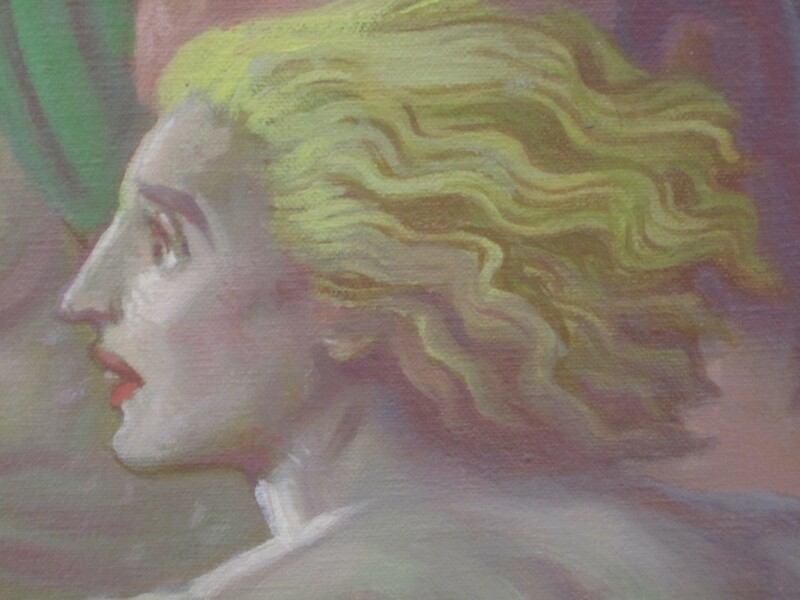 This large painting was purchased by an artist from the Romano Galleries at Tree Studios artist colony, Chicago, in the late 1970’s and is in a private collection in St. Louis with the same owner. 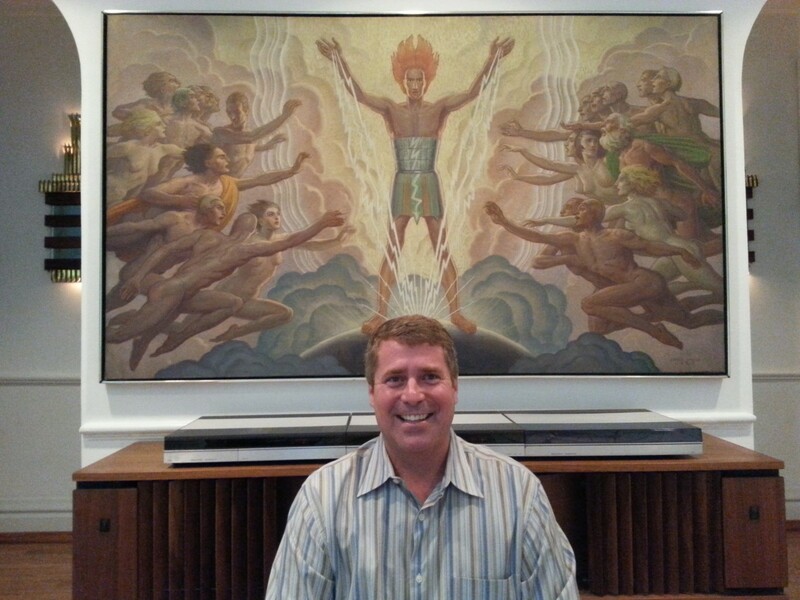 The buyer lived at Tree Studios in studio #22 when it was purchased. 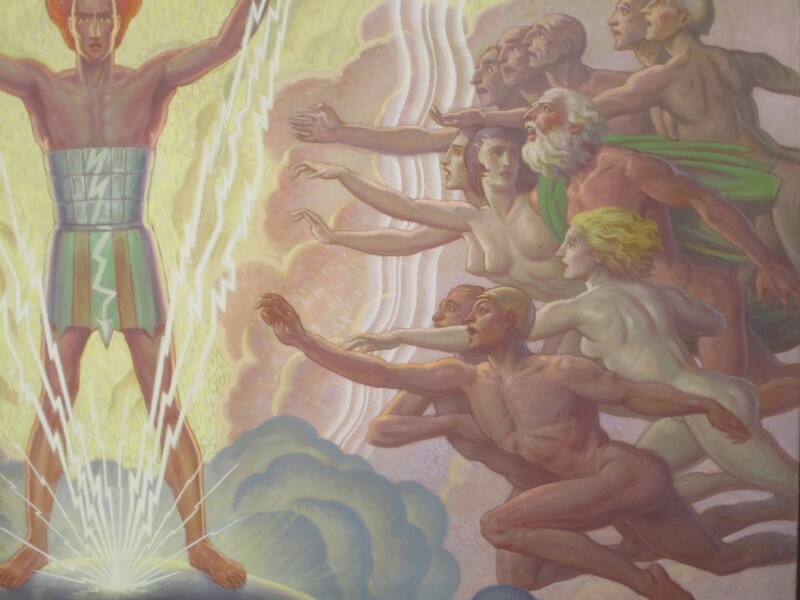 Possibly the world’s first super hero, the central figure, Captain Electricity, is shown charging the globe with lightening bolts shooting out of his hands as human figures fly around him in unison. 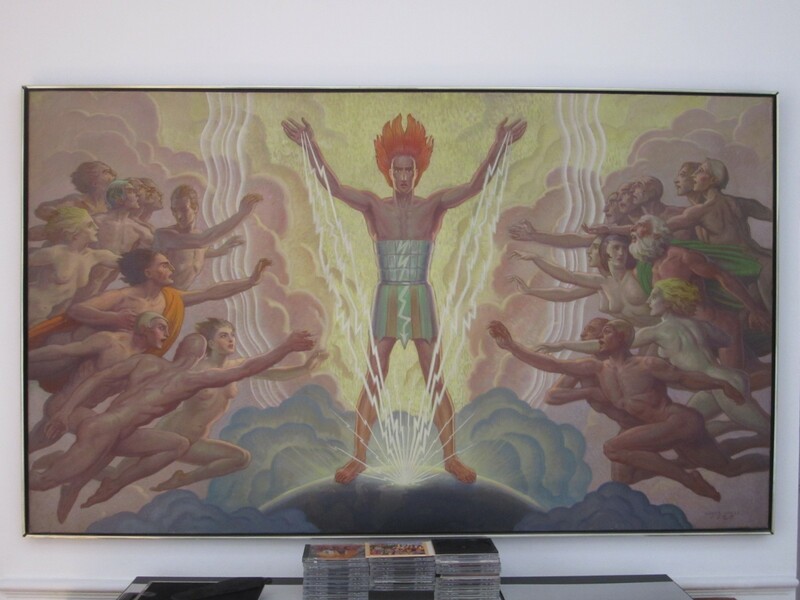 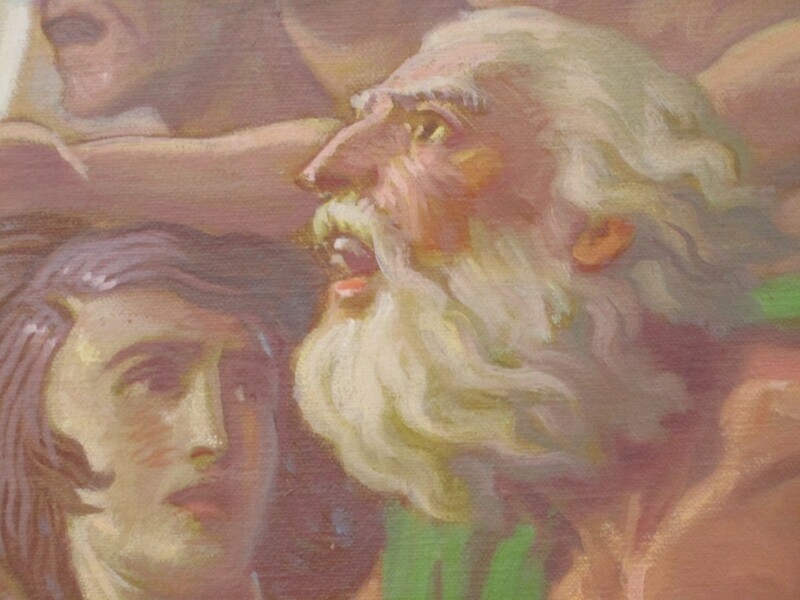 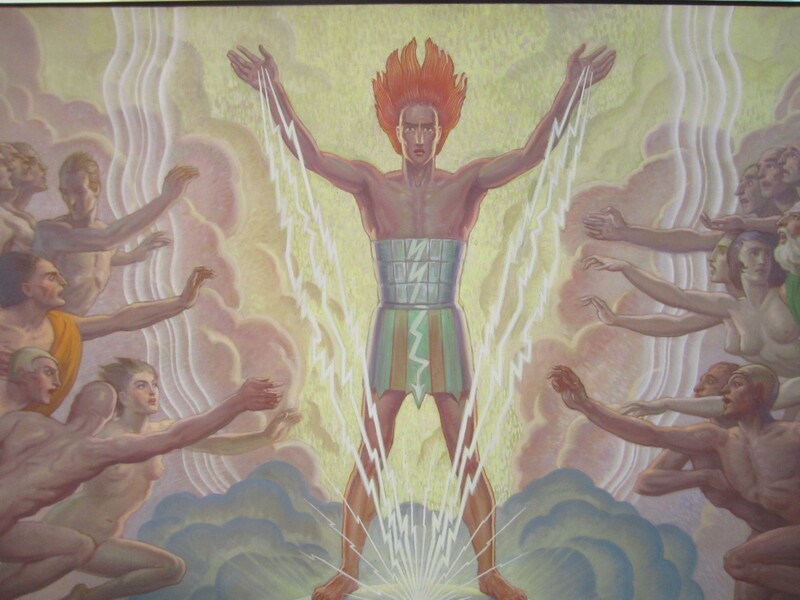 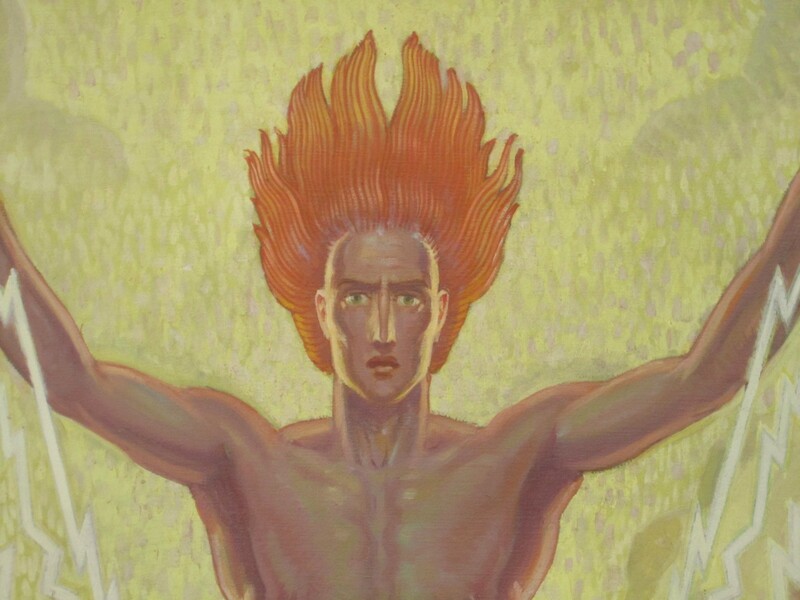 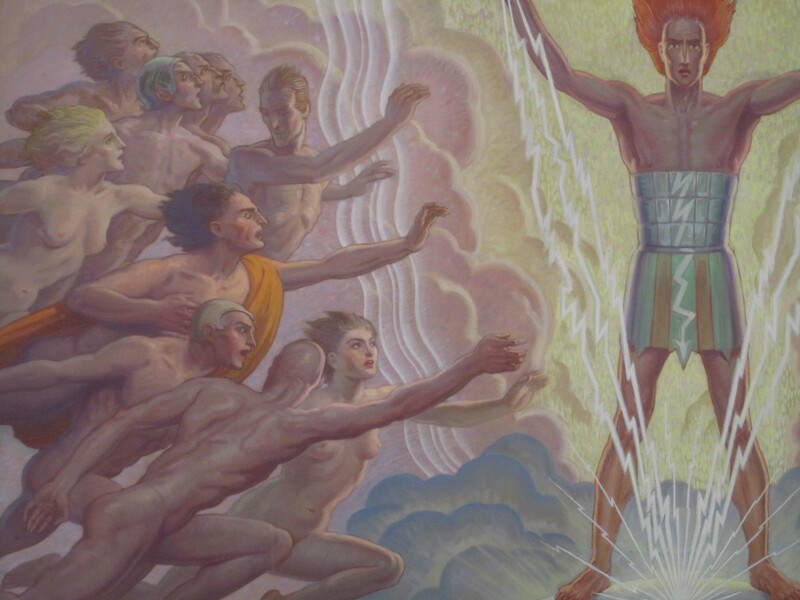 When it was purchased, the seller told the current owner that it was a study for a large mural for the RCA Pavilion for the Century of Progress, Chicago World’s Fair.